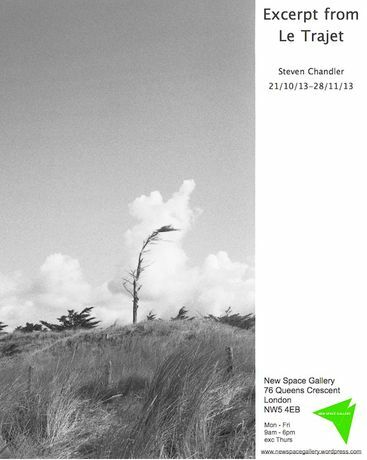 Steven Chandler was born in Hertfordshire and studied photography at Bournemouth and Poole College of Art and the University of Brighton. He has taught photography in community mental health settings for 10 years and currently works freelance as a commercial/editorial photographer as well as exhibiting his personal work. The images on show in this exhibition are extracted from Le Trajet, a large series made in France over the last 3 years. He says; a lot of photographic art now seems too academic, where the idea is almost more important than the image. In this series I am purely interested in the image and the feelings it can trigger in the imagination. I am led by colour, form, subject and atmosphere in equal measure.